MAXUS R&D Laboratory is the most advanced laboratory in the country. Ukrainian Research and Development Center of MAXUS Corporation was established in 2011 and is now the leading non-governmental institution in the field of LED lighting in Ukraine. R&D Laboratory is the most advanced laboratory in the country. The quality of its measurements is confirmed by calibration certificates from the world’s leading manufacturers of lighting measuring instruments. 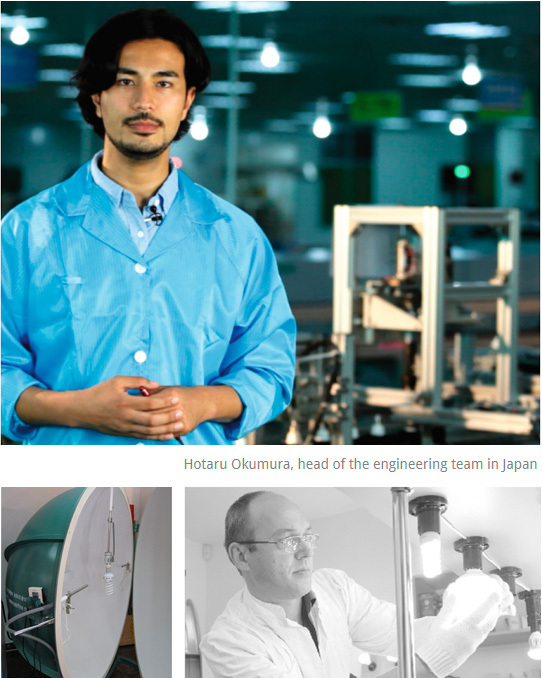 R&D Center’s staff consists of the best lighting experts, electronic engineers, programmers, and marketers who work in constant contact with the Japanese engineering group led by Hotaru Okumura. R&D Center conducts systematic work to identify the needs of private and corporate customers and to adapt corporation’s developments to these needs, as well as to the specifics of Ukrainian power supply networks. In particular, all corporation’s products sold within Ukraine have enhanced voltage stabilizers allowing MAXUS light sources and fixtures to withstand momentary voltage drops in the range of 200-240V. Another task of R&D Center is the development of engineering solutions and defining technical requirements for products to meet customer needs at a reasonable price. R&D Center’s competence also includes quality control at all stages of production. Innovative developments and strict multilevel quality control ensure long service life of the products confirmed by the real manufacturer’s warranty.